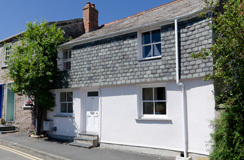 Tregirls Cottages, walking distance from Padstow and the dog friendly beach Harbour Cove. 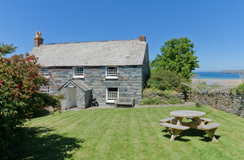 Tregirls self-catering holiday cottages offer a choice of three dog friendly properties with either a seaside & countryside or town location. They are very popular all year round as there is so much to do in the Padstow area, come rain or shine. Whether you enjoy the stunning beaches, the breathtaking walks, cycling, bird watching, golf, horse riding, fishing, visiting attractions & gardens or simply relaxing in one of the many excellent pubs & restaurants nearby. There is something for everyone based at Tregirls. 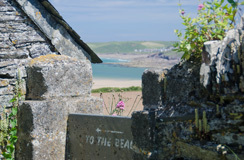 TO BOOK YOUR COTTAGE IN PADSTOW. 11th July 2016. Check out the brand new garden furniture at 38, Church Street, Padstow. It's always sunny in Padstow. OK, maybe not always so keep an eye on it here! © 2019 Tregirls Holiday Cottages. All Rights Reserved.